LONDON, March 20, 2019 /PRNewswire/ -- Thoughtonomy, the award-winning Intelligent Automation provider, is today announcing that its new Computer Vision automation tool, IADA Vision, has been verified as Citrix® Ready™. The new solution enables organizations to deliver simpler and more resilient process automations in any application through Citirx, overcoming many of the current challenges of 'surface automation'. IADA Vision exploits developments in its Data Science practice using Machine Learning AI to simplify the way that Thoughtonomy Virtual Workers identify and interact with applications through Citrix. It takes a 'human' approach, where Virtual Workers interact with applications in a far more dynamic way, with the ability to recognise patterns of what is on screen and make decisions based on learnt conditions and scenarios. It allows for greater tolerance to changes in applications, speeds up build processes and reduces maintenance time and costs. 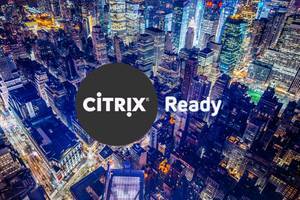 IADA Vision has been in development for the past six months and has now been verified as Citrix Ready® and as such is fully compatible with the Citrix Virtual App platform. Thoughtonomy will now be trialling the solution with a number of organisations as part of its Early Access Programme ahead of a full product launch to the wider market later this year. "This is a really significant milestone, not just for Thoughtonomy but for Citrix enterprise users and the RPA industry as a whole. Rather than having Virtual Workers blindly clicking on buttons based on potentially out-of-date instructions, and fragile automations often breaking down when a button is moved on a given page, with our computer vision solution these virtual workers can perform in a far more dynamic, intelligent way on the Citrix platform," said Danny Major, CTO at Thoughtonomy. "Over time, we believe that IADA Vision, and our human-based approach to automation, will become the standardized way for Virtual Workers to interact with applications, across all platforms and operating systems." IADA Vision is the latest initiative in Thoughtonomy's long-term strategy to simplify and standardize process automation across all platforms and all operating systems, ultimately enabling non-technical business users to easily automate processes through Intelligent Automation and Robotic Process Automation. In December last year, Thoughtonomy launched Wireframer, the first tool on the market that ensures any business user can develop enterprise-quality automations as standard. Through its Virtual Workforce Platform, Thoughtonomy provides companies with access to a pool of cloud-based intelligent digital that can take on the time-consuming, repetitive tasks that impede the productivity of human workforces. By integrating these digital workers with human teams, companies can accelerate growth and achieve a step change in efficiency. On the back of rapid international expansion and revenue growth Thoughtonomy was last year ranked fourth in the Sunday Times Hiscox Fast Track 100 and 11th in the Deloitte Tech Fast 50. Thoughtonomy is a UK-headquartered AI software company that enables organisations and the people they employ to do more and achieve more. The company's award-winning SaaS platform, gives companies access to a pool of cloud based intelligent digital workers that can perform the repetitive, time-intensive tasks that slow people down. By integrating this digital workforce with their human teams, companies can accelerate growth and achieve a step change in efficiency.